All things considered, 2017 can't be seen as a failure for the Cardinals. With 15 players ending up on injured reserve, including seven opening day starters, and 30 players missing a total of 180 games, the fact that Arizona finished at .500 is actually impressive. Quarterback Carson Palmer ended up with 38 wins as a starter, third most in team history, but he missed the final nine games of the season with a broken left arm. He announced his retirement from the NFL after 15 seasons. The offense was built around running back David Johnson, but he broke his wrist in Week 1 and was lost for the year. The team traded for Adrian Peterson, but he was far from his Pro Bowl form. Tight end Jermaine Gresham tore his Achilles in the season finale and Troy Niklas was a big disappointment. Wide receiver J.J. Nelson was too inconsistent and the Brown Brothers, Jaron and John, had below average seasons. Left tackle D.J. Humphries was lost for the year with a dislocated knee cap, but the team believes he is the future on the left side. Left guard Alex Boone played well and played hurt in place of Mike Iupati. Center A.Q. Shipley was the only starter on the offensive line to start all 16 games. The defensive line dealt with injuries for much of the season but came play when they were healthy. Defensive tackle Robert Nkemdiche has failed to play to expectations despite his physical gifts. Outside linebacker, Markus Golden, who led the team in sacks last year, played in just four game before tearing his ACL. Karlos Dansby was solid for a 36 year old but he likely played his last season in the league. Deone Buchanan got a late start to the season after offseason ankle surgery. The secondary looks to be the strength of the defense for a while. Safety Tyvon Branch was having his best season before tearing his ACL. 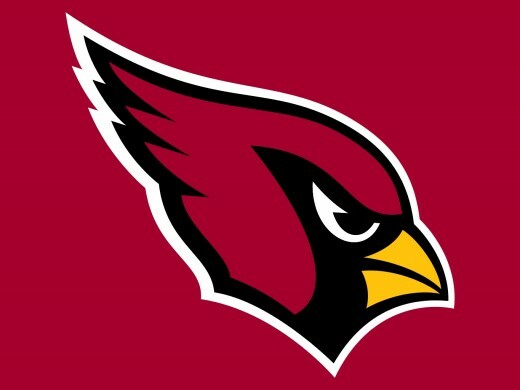 The Cardinals produced four Pro Bowlers in wide receiver Larry Fitzgerald, outside linebacker Chandler Jones, cornerback Patrick Peterson, and special teamer Budda Baker. Fitzgerald showed he is still in the elite class of receivers at age 34. Jones led the NFL in sacks, tackles for loss, and quarterback hits. Peterson made his seventh straight Pro Bowl despite just one interception, but that was mostly due to quarterbacks not wanting to test him. The rookie class was a mix of great and disappointing. Linebacker Hasson Reddick was thrown straight into the fire and played well both inside and outside. Safety Budda Baker was named to the Pro Bowl as a special teams gunner and showed he is ready to start at strong safety after Tyvon Branch went down. Guard Dorian Johnson spent five weeks on the practice squad before being claimed by Carolina. Running back T.J. Logan was looking like the team's return specialist and third down running back before getting injured in the preseason. Undrafted tight end Ricky Seals-Jones had three touchdowns and became clutch down the stretch. Shortly after the 8-8 season, head coach Bruce Arians announced his retirement from coaching after five seasons with the Cardinals. 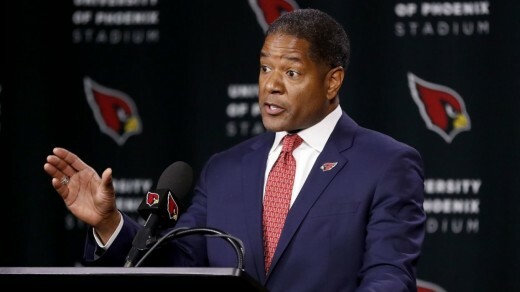 The team then hired former Carolina Panthers assistant head coach and defensive coordinator Steve Wilks to be the Cardinals new head coach. With a new head coach comes a new coaching staff. Offensive coordinator Harold Goodwin was replaced by former Denver Broncos offensive coordinator and former San Diego Chargers head coach Mike McCoy and defensive coordinator James Bettcher was replaced by former Carolina Panthers linebackers coach Al Holcomb. With the 15th overall pick going into the draft, Arizona has to replace some key positions. Primarily at quarterback, wide receiver, and offensive lineman. Finding Carson Palmer's successor should be priority number one. Sam Bradford has a documented injury history and Mike Glennon was a disaster last year for Chicago. Larry Fitzgerald decided to come back, so that's good, but the team lost the Brown Bros. to free agency and also need to plan for life without Fitz down the line. Both guard spots were a rotating door last year and the tackles both dealt with injuries. Justin Pugh and Andre Smith help, but additional depth couldn't hurt. On draft day, Arizona traded up with Oakland to the 10th overall pick to select UCLA quarterback Josh Rosen. Rosen was believed to have the best mechanics of any quarterback this year, but lacks great arm strength, has durability concerns, and questionable attitude. The Cardinals also notably drafted Texas A&M wide receiver Christian Kirk in the second round and Michigan center Mason Cole in the third. Kirk has the athleticism team crave and has added value as a return man, but lacks the strength and size to compete on the outside. It was also discovered that Kirk was arrested for disorderly conduct and causing property damage in Scottsdale, Arizona in early February 2018. He allegedly threw rocks at cars while attending the Waste Management Phoenix Open at TPC Scottsdale. Kirk was deemed to be intoxicated during the incident. On May 29, 2018 all charges against Kirk were dropped. Cole was seen as the best pass blocking center in the draft, but looks to just be a jack of all trades and a master of none. It's going to be a long year for the Cardinals. Sam Bradford is said to be the team's starter, but it's only a matter of time before the injury bug bites him again and that opens the door for Josh Rosen. David Johnson should be back healthy and more hungry than ever while T.J. Logan could be a nice change of pace back and return specialist. The team missed his bruising inside running and his skills as a receiver. Larry Fitzgerald has shown no signs of slowing down. I do think its coming but he still can be productive for awhile with his hands. Brice Butler looks to be a solid number two option while Christian Kirk looks to be made for the slot. Hopefully Ricky Seals-Jones can emerge as the starting tight end while Jermaine Gresham recovers from his torn Achilles. The offensive line added some value in free agency and the draft, so it will be interesting to see how the unit gels together. Under Steve Wilks, the defense will go from a 3-4 scheme to a 4-3. This means Chandler Jones and Markus Golden will be moved to defensive end. Assuming Golden returns healthy from his torn ACL, he and Jones could form one of the league's best pass rushing duos. Corey Peters will fit nicely in this system but this is a make or break year for Robert Nkemdiche. Hasson Reddick will be a nice replacement for Karlos Dansby and Deone Buchanan and Josh Bynes will be able to roam the outside. Jamar Taylor isn't a Pro Bowl talent, but he should be a nice complement to Patrick Peterson. Budda Baker showed he's ready to be a fulltime starter on defense but Tre Boston is definitely a step down from Tyrann Mathieu. Considering all the pieces Arizona had to replace. I can't picture them getting past Seattle, San Francisco, or Los Angeles. How will the Cardinals fair this season?